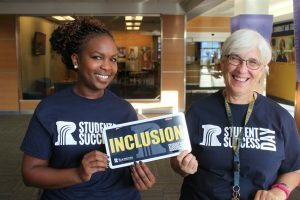 Student Success Day (SSD) is an opportunity to connect with friends, faculty and staff while attending sessions designed to help you succeed at RCTC and beyond! What Can I Expect at SSD? Numerous educational/success sessions designed with you in mind to help you succeed further in one of the four key areas mentioned above. These sessions are led by our very own RCTC Faculty, Staff, Administrators, and Rochester Community Members. Professional head shot photos will be offered at no charge. This is a great opportunity to start your professional personal brand through your digital presence! Don’t have anything to wear for the photo? The Workforce Development Center will be providing professional attire for you to wear during the photo. Resource Fair with on-campus and community representatives. Resume critique drop-in opportunity. Have your resume reviewed by a professional at no charge. Don’t have a resume? Learn how to create one!